Package to Ica/Nazca & Paracas 2days/1night (with over flight to Nazca Lines from Ica). Day 1: Very early in the morning transfer to the bus station & board the Cruz del Sur bus to Ica (approx. 4hrs). Arrival & transfer to hotel Las Dunas for accommodations, then transfer to the airfield of Ica to join the over flight to the Mysterious Nazca Lines: drawings of the biggest astronomical calendar in the world, representing animal figures such as a spider, a monkey, a bird and geometrical figures, are thought to be an enormous calendar. They are believed to have been made between 500 years BC and 1300 AD by the people who inhabited this oasis of the Peruvian coast (lunch is not included) from Ica.Pm: City tour (sib/regular) visiting the Huacachina lagoon (also called "El Oasis de America" - a beautiful landscape) , El Catador wine warehouse, the main square the Regional Museum ( we can see great quantity of archaeological remains as potteries, textiles, mummies, among others. All they belong to the following ancient civilizations: Paracas, Nasca, Wari, Ica-Chincha and Inca) . Return to Hotel for overnight. Day 2: In the morning depart towards Pisco/Paracas to the pier to board the boat that will take you to the ecological reserve of the Ballestas Islands where you will admire some animals such the sea lions, pelicans, penguins & etc. Free time for lunch (not included) and in the afternoon, transfer to bus station & board the CRuz del Sur bus to Lima. Arrival and transfer to your hotel. 1 night accommodations including breakfast & taxes. Day 1:In the morning transfer to the bus station & board the Royal Class bus to Nazca (approx. 6hrs). Nazca was founded by the Spaniards in 1591. It is most famous as the site of a collection of gigantic drawings and lines drawn into the desert over an area of around 52 square-miles, and best appreciated from the air. These drawings, representing animal figures such as a spider, a monkey, a bird and geometrical figures, are thought to be an enormous calendar. They are believed to have been made between 500 years BC and 1300 AD by the people who inhabited this oasis of the Peruvian coast (lunch is not included). 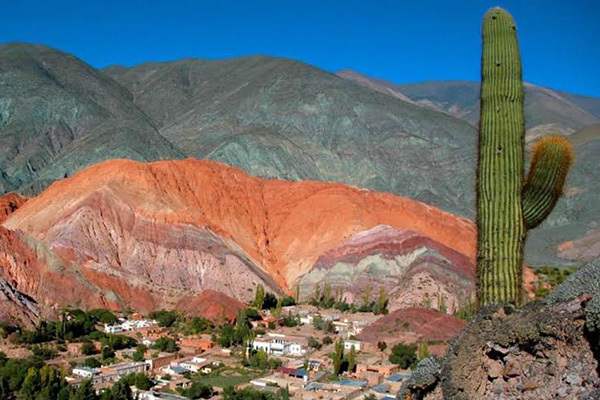 Arrival & accommodations at Hotel Casa Andina Nazca Classic . Pm: board the over flight to Nazca Lines (approx. 30 minutes). Day 2 : Very early in the morning depart towards Pisco/Paracas (approx.3:hrs drive) and board the boat at 10:00hrs that will take you to the ecological reserve of the Ballestas Islands where you will admire some animals such the sea lions, pelicans, penguins & etc. Free time for lunch (not included) and in the afternoon, transfer to bus station & board the Royal Class bus to Lima. Arrival and transfer to your hotel. Day 2: Am: Depart for a half day city tour to Colonial and modern Lima, Three hours sightseeing of Lima highlights: Plaza de Armas, Government Palace, City hall, Torre Tagle and Justice Palaces, Suburbs of San Isidro and the famous Olive grove, ending in Miraflores and the beaches, better known as the Green Coast along the Pacific ocean . Pm : Half day visit to the Mujica Gallo Gold Museum that exhibits thousand of gold, silver and copper pieces belonging to the Paracas, Nazca, Wari, Moche, Chavin, Chimu and Lambayeque cultures. It is the most important private collection in the country. This museum also owns some of the biggest collections of weapons of different places of the world. Overnight at select hotel. 3 days/2 nights jungle package including full board (beverages not included), roundtrip transfers to the lodge & daily excursions by naturalist bilingual guides. Airport, security & fuel taxes. Tips & extra of any kind.